As part of its new reservation system, Washington State Parks’ biggest — and most beloved — cabin site is finally available online. It's another chapter in the story of a resort that's never really been a best-kept secret. 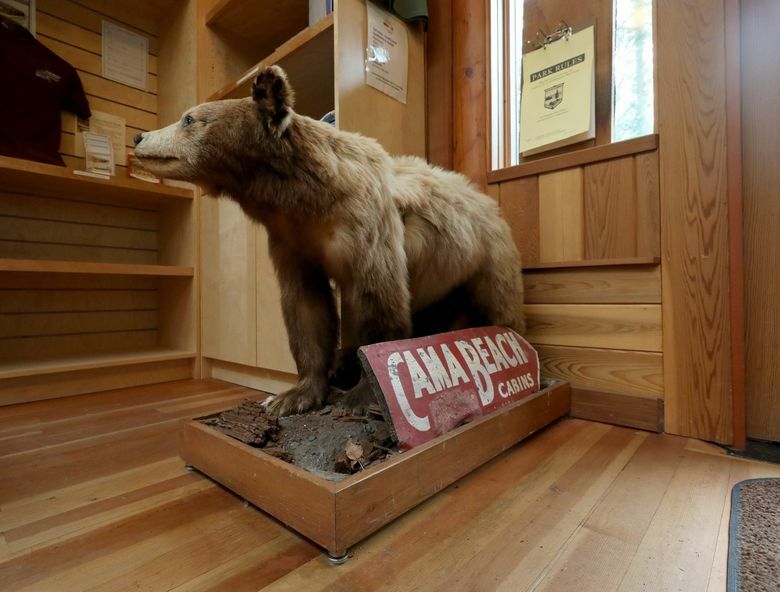 For 11 years, the process of booking one of the 33 cabins at historical, nostalgic Cama Beach State Park on Camano Island seemed as old-timey as the resort itself. You called — not a call center, but the park itself. And you either spoke to a human or left a message that was returned by a human, often a human named Deb Bell who’s worked at Cama Beach since before the park opened. Then you had a conversation, about dates and cabins and maybe your kids. And if you couldn’t book your optimal date — this is a very busy park, though you wouldn’t know it by talking to Bell, who is legendarily patient — she might “coach” you (her word) about how to get your preferred date next time. If you’re aiming for a busy summer weekend, she might say, leave a message as close to midnight as possible, exactly nine months before your arrival date (18 months prior if you’re booking a group). Bell and other staff would then answer time-stamped voicemail messages in exact order, playing the ultimate game of phone tag to construct the puzzle of who gets what cabin when. “I use humor when I can to defuse the frustration,” she says. Vacationers can now log on up to nine months before arrival, see what Cama cabins are available, and key in a credit-card number immediately. They can also look for last-minute cancellations. And no need for a midnight call; 7 a.m. is the earliest you can book online. Not everything’s going online, though: The many large groups (and weddings) that book seven or more cabins will still work directly with Cama Beach to reserve, a fact that hints at the spot’s uniqueness among Washington State Parks: a rustic resort with strong appeal to groups from family reunions to parent friends, who gather yearly to get away from it all together. It’s another chapter in the story of a park that’s never really been a best-kept secret. With a rich history — it once served as a summer encampment for Native Americans — the 486-acre property was developed in the 1930s as a Depression-era “auto court,” an affordable vacation spot for families. In the 1990s, the family that had owned the resort since 1934 sold it at a discount to Washington State Parks. 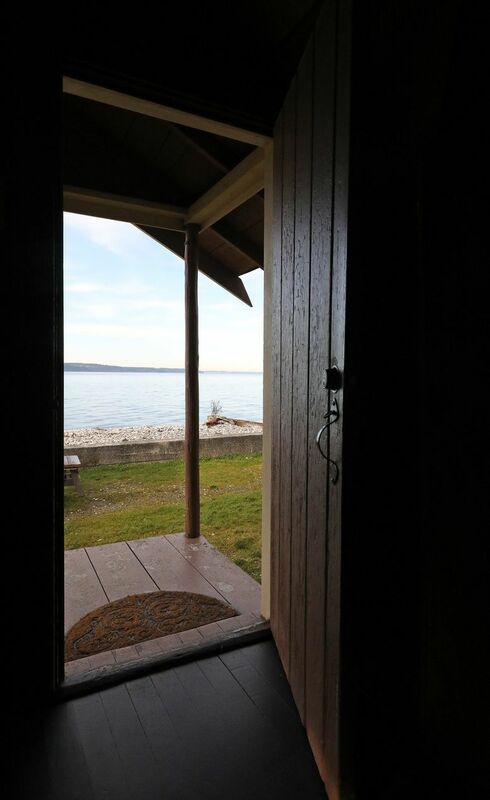 The original cedar cabins, steps away from a stunning stretch of Puget Sound, were lovingly restored, complete with handsewn quilts from Camano Island quilters. “The commitment to the park was to keep it in the flavor of its former self,” says Meryl Lipman, communications consultant with Washington State Parks. 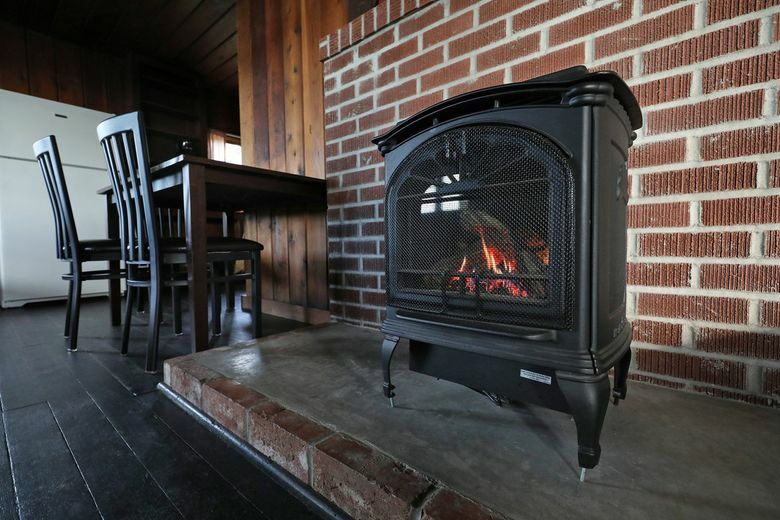 The small cabins featured just enough amenities to make the experience a crucial step up from camping: beds, heaters, a microwave and full-size refrigerator, picnic table outside. 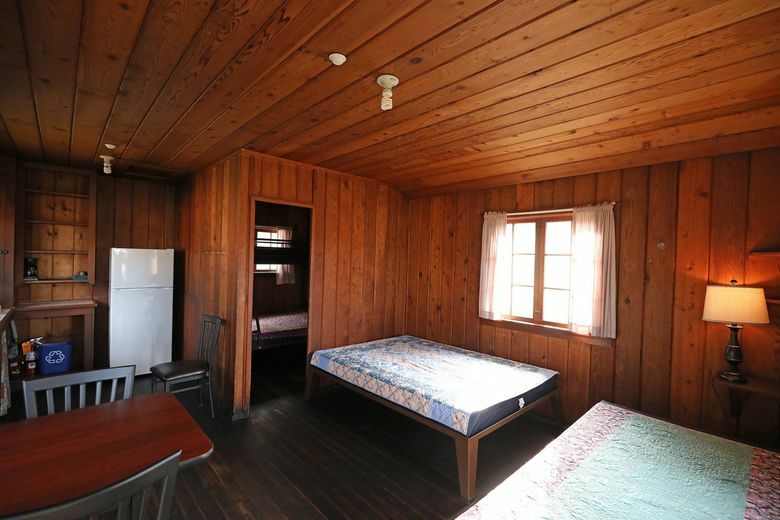 (In addition, seven “deluxe” cabins featured bathrooms; and two houselike “bungalows” had kitchenettes, too.) 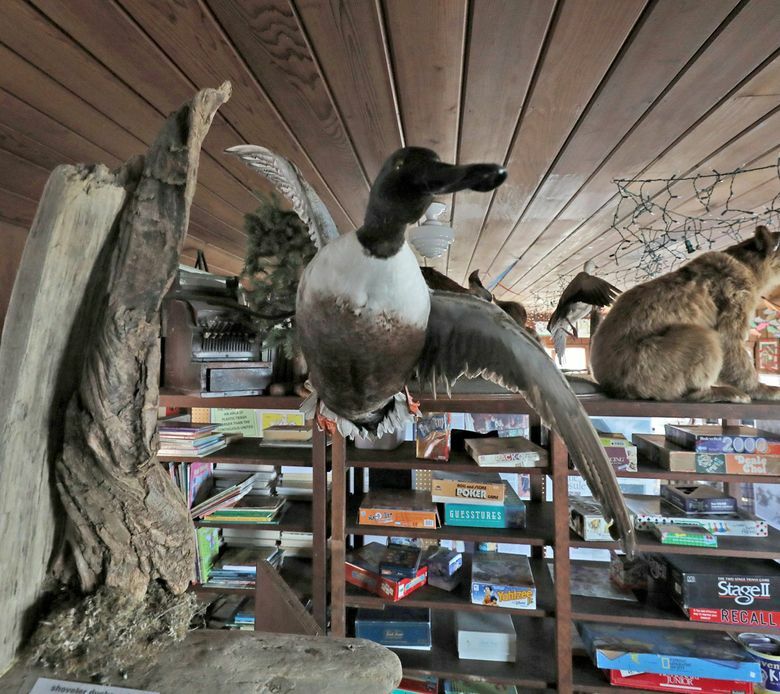 The Center for Wooden Boats set up a satellite office with boats, crab pots and fishing poles available for rent, as well as educational programs. A beachside general store was reopened. 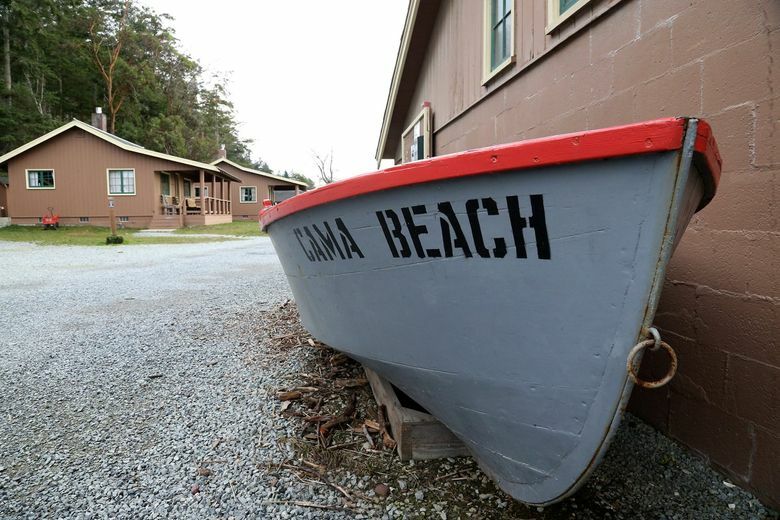 When Cama Beach State Park opened on June 19, 2008, it was already booked for months. Many things have changed at Cama Beach since those days: Groups (including weddings) were soon allowed to book the resort. A lodge complete with a restaurant and catering service (the Cama Beach Cafe) was built on the bluff above the beach. Activities and events were added. Prices have also steadily increased since the original discount price of $27 a cabin. But its popularity has never flagged, especially with families, who value another key factor: No cars allowed in the beachside cabin area. Visitors park in an upper lot and then take a shuttle down to the cabins. This means that as soon as families make their way down to their cabin, kids can run free. After years of getting to know vacationers, Bell has her own stories, such as the “little old lady” who called to book a cabin just for day use on a particular Wednesday. She and her husband had honeymooned at the original resort decades ago and wanted to relive their past. But as the park has gotten busier, not all are happy. Gustafson stopped going to Cama several years ago, in part, she says, because it felt “harder and harder” to find an open date, thanks to the many groups that book the resort. “It’s been a balancing act; we like to think that’s we’re doing a fair job of serving everybody,” says Bell of how they work with groups. Several years ago, the staff decided to hold back six cabins from group reservations during the summer to give individuals like Gustafson a better shot. Will reserving online also make the park more accessible? A look online at open dates for Cama cabins showed — predictably — that all summer weekends are booked. But the calendar also shows weeks of availability for non-summer months, a lovely and lower-cost time to go. More changes are coming. Bell’s position at Cama is shifting to focus on event programming, as well as continuing to book groups; she’s currently hiring more customer-service specialists to replace herself. In the meantime, she’s still answering phones, and encouraging those booking online to be patient. You can always call the welcome center, too. “We’ll always be here to help,” she says. 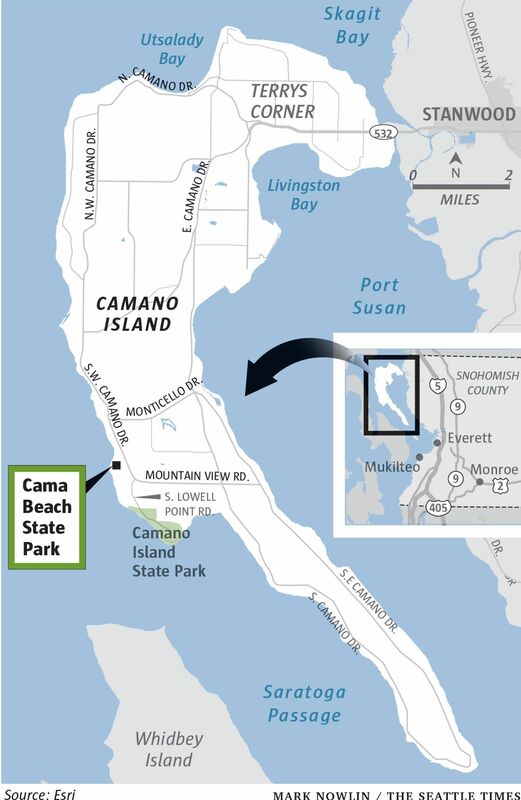 Cama Beach State Park, 1880 W. Camano Drive, Camano Island. 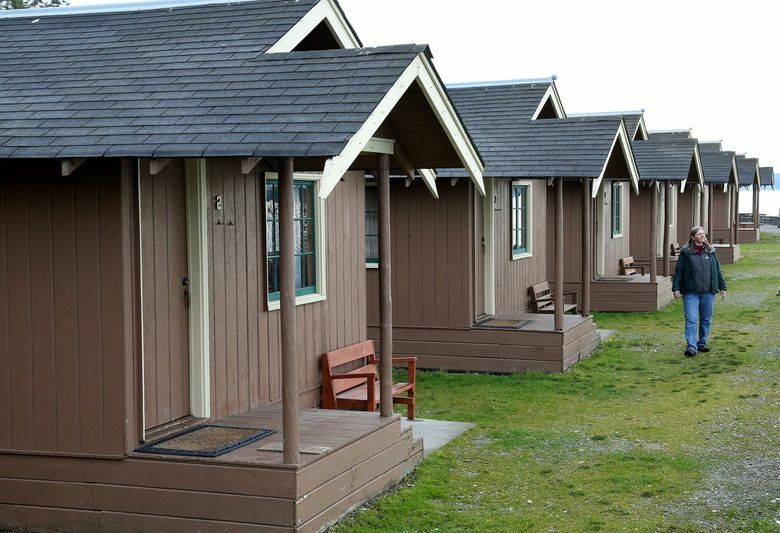 Cabins range from $61-$116/night, depending on type of cabin, time of week and season; bungalows range from $142-$196/night; two-night minimum stay on the weekends. Book online up to nine months in advance at washington.goingtocamp.com or at 888-CAMPOUT or 888-226-7688; book group reservations (seven cabins or more) up to 18 months in advance by phone at 360-387-1550, parks.state.wa.us/483/Cama-Beach. Center for Wooden Boat members can also rent a deluxe cabin at Cama. Also, just a mile from Cama Beach, quieter Camano Island State Park has five cabins for rent: parks.state.wa.us/408/Camano-Island-State-Park. Note: When originally published online, the article stated that “In the 1990s, the family that had owned the resort since 1938 sold it at a discount to Washington State Parks.” The family had actually owned the resort since 1934; the article was updated to fix that error.